So that’s how things started for me yesterday – and that’s a long walk up to the office when you have no clue what’s going on! Once I got there, however, I learned that Governor Wolf had eliminated the requirement that students pass the Keystone Exams in Biology, Algebra, and Literature in order to graduate and that Ashlie Hardway from WTAE was here to get student and teacher reaction to this announcement. I watched as a student I had the fortune of working with last year, Nicole, totally crushed her interview. Surely she had more than a couple of minutes to prepare, I thought. I am so proud of not only the way she handled herself in this situation, but also the way she represented our school and all of our students in this process. She spoke of how much pressure she felt when taking these tests — of how much she worried beforehand and the sleep she lost. Keep in mind that this is one of our best — a “high flier” as our Principal properly called her — and this is the effect that these High Stakes Tests had on her. 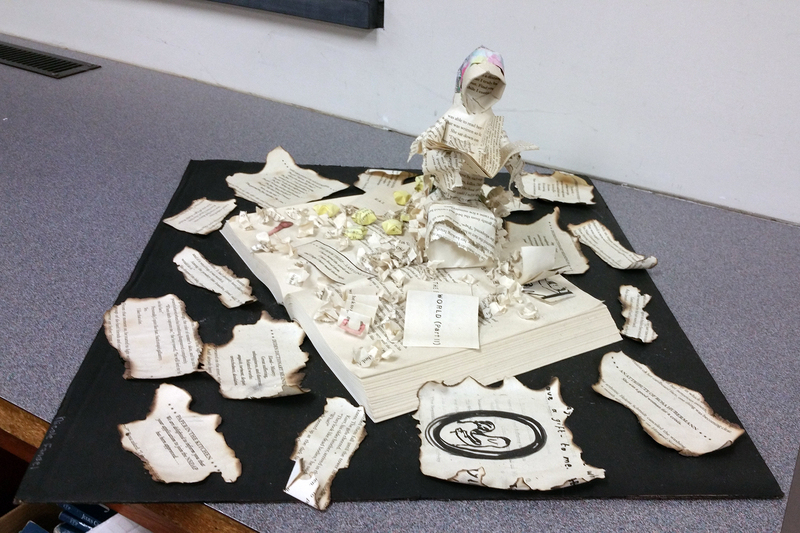 I thought about the end of unit project that she created for The Book Thief and how she had transformed a book into a piece that explained in no uncertain terms what she took from her reading of Zusak’s novel. And I thought about the fact that no standardized test would ever let her display this type of learning. After the spot aired I received a bunch of calls and texts and tweets, and several people were a little confused on what I had to say concerning accountability. Make no mistake about it, I believe in accountability — for both teachers AND students. 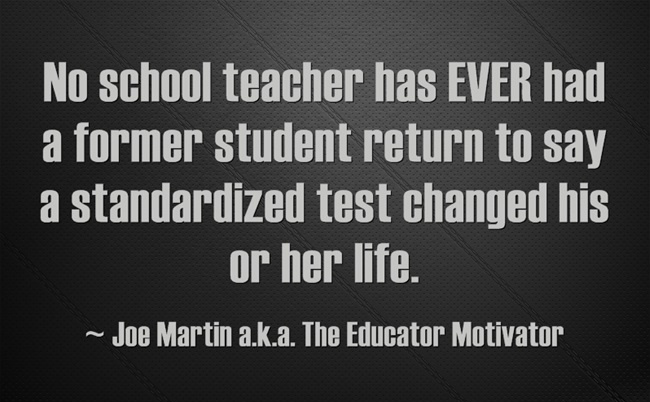 I just don’t believe in High Stakes Tests being the way that this occurs. There are so many outside factors that come in to play with a test like this — to think that these truly measure a student’s learning is just flat out naive. Want to see if I’m doing my job? Come in and take a hard look at what I’m doing — and come in over a period of time. I don’t care who you are or what position you hold — you’re always welcome — that door is open. Want to see if my students are doing their job, improving their skills and (hopefully) being challenged in the process? The offer above stands. (ps – I can’t speak highly enough concerning how Ashlie Hardway and her photographer handled these interviews. I truly wish that all of my Mass Media and Yearbook students could have seen the entire process — they were on point the whole way through. Beyond that, she and I have had several interactions on Twitter and it was great to finally meet face to face). This entry was posted in daily life of a teacher, ed reform, reaction to the news and tagged Ashlie Hardway, Governor Wolf, Keystone Testing, markus zusak, The Book Thief, WTAE. Bookmark the permalink. I’ve been in a lot of classrooms, from grade school to high school to college (twice), as a student and now to observe as an aspiring teacher (twice), and can say that your classroom has been the most welcoming. I’m not sure I can genuinely express that in words, but I do know the dynamic I’ve seen – between teacher and students – truly promotes learning that only time can measure.